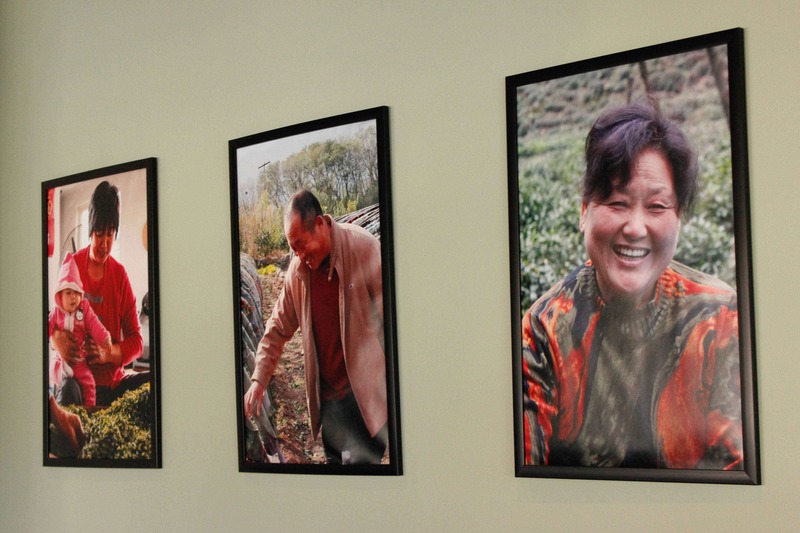 The tea retailer is the final step on the humble tea leaf’s journey from farm to cup. After all is said and done, every tea, whether fine, hand picked leaves or pesticide-laden dust, must be sold to the end consumer through a retailer. The final retailer has a huge influence on price, markup and quality. No matter the costs involved in producing a tea, the retailer makes the call to assign that final price. In this final chapter of our Transparency in the Tea Industry series, we examine the inner workings of the retail business and how these final prices get set. Every business has to do one simple thing to be sustainable – bring in more revenue than money spent. That being said, the money a business spends is divided into two broad categories: cost of goods sold and expenses. Cost of goods sold (or COGS) is the cost of the tea itself, including the packaging. This expense is determined by all the market forces at work in the farming, shipping, and distribution of tea, all discussed earlier in this series. Expenses, the second category of cost, is introduced by the tea retailer and, as such, is their responsibility to control to the best of their abilities. In order to break even and remain in business, a tea retailer’s expenses must be met with equivalent income, or they will be looking at a very short venture. Basic expenses include rent, utilities, payroll, insurance, professional services, rentals, employer taxes, interest on any debt, etc. Depending on how big a business is, these expenses can vary dramatically. To better understand pricing, let’s first look at expenses involved in running an online tea business. The first big one is rent. To save on rent, many small online shops actually work out of their apartments or from home. Of course, this means lower expenses. Unfortunately, it also means breaking the law and endangering customers. Tea is a food product, and needs to be handled in a food safe facility. This means tea retailers must rent or own a commercial kitchen space to have the equipment needed to properly sanitize scoops, store tea, and keep hands and work surfaces clean and sterile. Here in Minnesota, renting the smallest commercial kitchen space currently on the market costs about $2,000 a month. Add to that rent utilities: gas to heat in the winter, electricity to cool in the summer and keep the tea at a good temperature, light to see what you are doing, and an internet and phone connection to stay in contact with the outside world. At minimum, these utilities add about $600 a month to the bill. Payroll truly depends on the size of a business. Some tea retailers are in business as a hobby and don’t need to pay themselves. This means less cost is passed on to the customer. However, it also means that their full time and attention is not dedicated to the project. How do you navigate the sourcing challenges, offer fresh product, fast shipping and good customer service as a hobby? Working this way will always involve some sort of compromise, and the more a business grows, the more the strain of these compromises take their toll. For a business to be sustainable, owners need to get paid, even if it is only minimum wage. Depending on the state, this adds about $1700 a month to the expenses of a tea business. Of course, the more people there are working together on the project, the more incredible work can be done. Having someone devoted to packing orders and customer service allows for much faster turnaround and more accurate fulfillment. Employing a web developer allows a tea retailer’s website to continue growing, making the experience easier and more pleasurable to use for the customer, keeping security measures and protocols up to date, and making sure the way the teas appear on the website reflects the goals and desires of the farmers you represent. Having someone focusing on design and outreach allows for higher quality content, more beautiful pictures, more infographics, more articles, more steeping directions, videos etc. Of course, the most important piece of all is the integrity of the sourcing process. Having someone focused on coordinating harvests with farmers, taking care of shipments, working with customs brokers, and brainstorming with each grower on new tea possibilities is extremely important. This kind of staff can add thousands of dollars a month to expenses. All of this means that a legally-operating tea company in the US must spend at least $4,300 on rent, utilities and payroll every month. Add hosting fees for a website, credit card processing fees, bank fees, debt interest, and insurance, and you are looking at about $5,500 in expenses a month just to keep a very small operation running. A larger operation that has staff devoted to direct sourcing and a more involved process could cost at least $10,500 to keep operating. How can tea retailers cover these minimum expenses? Of course, selling $5,500 worth of tea does not mean a tea retailer is breaking even. The tea itself must to be paid for. This is where companies begin to consider their markup. For example, if a tea retailer marks up thier product by 25%, they would have to sell $22,000 worth of tea in a month to break even. On the other hand, if the same retailer marks up their product by 1000%, they only need to sell about $6,000 worth of tea in a month to break even. Effectively, this means that the larger your company is, the less markup you need to take to break even and the more maneuvering room you have to price your tea. A very small business with less sales needs to charge more for the tea to cover their operation. A lot of businesses get wrapped up in the concerns of the moment, focused on their spreadsheets and setting their prices based on their own financial needs. Of course, to stay in business, a company must meet its expenses month after month. There are many books and many speakers who would love to tell a business owner how to price their merchandise and form a strategy. There are less people asking the important question: why? Why must a business exist? On the most basic level, the purpose of a business is to meet a need. We live in an often abstract world where money is made through speculation. However, at the end of the day, the backbone of an economy is the relationship between great needs and great solutions. When I talk about the costs involved in the process of getting tea from farm to cup, most people I know are following right along until we get to the retailer. Everyone agrees that a farmer who labors in the fields and creates a product we need should be paid fairly for their labor. Everyone understands that it costs money to transport and package tea. Yet, people hesitate at the concept of a tea retailer adding their own markup. What exactly does the retailer do? What value do they add, what need do they meet? Why should a tea retailer profit from the work of others? At least a brick and mortar tea shop can say that they offer convenience, knowledge and service. An online retailer is only one retailer among thousands of others, all equally convenient to access from a computer, a tablet, a smartphone. As an industry, we take our value for granted. Tea retailers feel like they work hard, and they therefore deserve to be compensated for it. The truth is that many in the industry of tea e-commerce distort the true value of what they sell, and justify their markup simply to cover their expenses. As retailers, our markup needs to be justified by the service we provide. If we can’t explain what we do for you that gives us the right to charge more than what the farmers charged us, then we have no business selling tea. For this reason, every business must crystallize around the question: do you need to exist? We live in a society and an economy structured around the ideal of people helping each other and solving problems for each other in exchange for compensation. If this is the case, what compensation, or added value, does a tea retailer truly provide? Our main criteria should be whether or not the retailer is providing something absolutely unique and singular. One of the most valuable assets that a quality retailer brings are their connections and their ability to curate a collection that is compelling for their market. This means seeking out truly unique sources for tea. This requires fluency in language and culture, and forming friendships and praetorships with tea growers based on trust and understanding. I am sad every time I receive a solicitation or catalog from some large Chinese company, talking about being a small family operation and wanting to send samples and supply us. On average, I receive at least one to two solicitations a day. It saddens me because I know the current laws in China prohibit true small farmers from direct export and that only large factory operations or brokers have the resources to send English language ad campaigns and catalogs, or even to accept US funds. Unfortunately, these solicitations are the main source of what many retailers call “direct-sourced” tea from small family farms. Companies around the world are either knowingly buying factory farm tea from brokers and calling it direct-sourced, or they are being tricked into thinking they have the genuine article. These brokers are very used to arranging tours for clients that visit China. Companies will take US business owners to farms so that they can have their picture taken with farmers dressed up in ceremonial clothing. Surprise, surprise! Tea farmers do not pick tea in decorative ceremonial clothes. They pick tea in work clothes. Almost every photo op you see that looks staged, is in fact staged. Being escorted by minders and translators to farms is absolutely not direct sourcing. It is lazy, complacent and dishonest to even talk about direct sourcing if you cannot speak Chinese and you aren’t friends and colleagues with the actual farmers who pick the tea. If you can’t communicate with your source and don’t know anything about them, how can you be sure that you are getting the real deal? Some companies get a little closer to authenticity because they perhaps lived in China, or have friends in China. 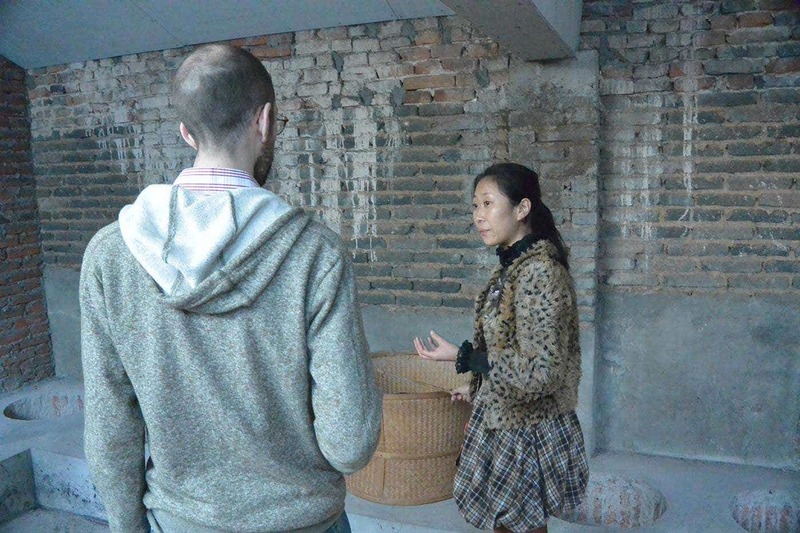 The most common “authentic” sourcing usually involves knowing a tea shop owner in China and buying tea from them. This is not the same as buying direct from farmers. A Chinese tea shop owner could be sourcing their tea from any supplier, and you still do not know who grows the tea. It would be like buying apples at Safeway and reselling them at a farmers market claiming that you are direct-sourcing, because Safeway purchased the apples from farmers. It simply doesn’t make any sense. If a company is truly going to the farm, getting to know the farmer and buying direct, why wouldn’t they give you all the details on the harvest – who picked it, what day, etc? Why not include pictures, videos and interviews with the actual growers? If a source is authentic and there is nothing to hide, why not include all the info you can? If a company does not share the information, they probably don’t have it. Either that, or the retailer does know the truth and understandably does not want to share it. Every industry begins like the tea industry: a wild west where anything goes. Eventually, industries grow up. When a product becomes mainstream, consumers begin to demand higher standards, and companies respond by sourcing higher quality products and focusing on integrity of source. Coffee made the transformation only a decade ago. Now, almost every independent coffee shop can tell you exactly where the beans are from, and what cooperative picked them. Tea has managed to hold out against the reforming force of the market a lot longer than you would think possible. This is largely because China has remained closed to the west for so long. Many people who own tea businesses today started before China was even open to trade. Even in the tea trade’s very infancy, the Chinese government worked to create impregnable mystery to protect the state secrets that Europe was so desperate to learn. By nature, China was a mysterious place. Instead of revealing sources and emphasizing that – like coffee or chocolate – tea is picked by real people, the tea industry has relied on exotizing the east. So many teas receive fanciful descriptions and names involving dragons, Buddhas, phoenixes etc. Even though the tribute system has not been in use since the end of the Dynasty system, teas are still referred to as tribute grade, imperial grade etc. The mystique of the East is a smokescreen to keep us from connecting with the real people who produce the tea we love to drink. Somehow, it is okay to talk about tea and call it monkey-picked, or talk about it as tribute tea. Let’s make one thing clear: tea is not being picked by monkeys. It is being picked by people. Is the industry really comfortable comparing tea farmers to monkeys? I believe that is called blatant racism. Is referring to tea by its old Wade-Giles transliterations like Keemun, Lung Ching etc acceptable? The system was introduced by western missionaries, and has been replaced by both China and Taiwan with Pinyin (which would spell the teas as Qimen and Longjing). Are we saying that we have the right to keep using a language system introduced by conquering colonial powers when the growers prefer to use their own language? Regardless of what was used in the past, both countries now use pinyin as their official method of transliteration. Our partners use pinyin if they ever have need to transliterate, and we respect their choice by using pinyin as well. Why is the industry allowed to lean on imaginings of colonial exoticism to obscure the truth? Let’s put an end to the embarrassing and unacceptable nonsense. Exoticism may fuel a specialty market in the short term, but it turns off the bulk of the world’s consumers – people who love fine wine, coffee, scotch and chocolate. These colonial practices give the tea industry a bad name as an insular culture that is not open to the rest of the world, where a product is popular because of how well it conforms to exotic fantasy, rather than because of it’s quality craft and origin. Do not be distracted by fancy names, or legends about tribute and imperial grade this and that. 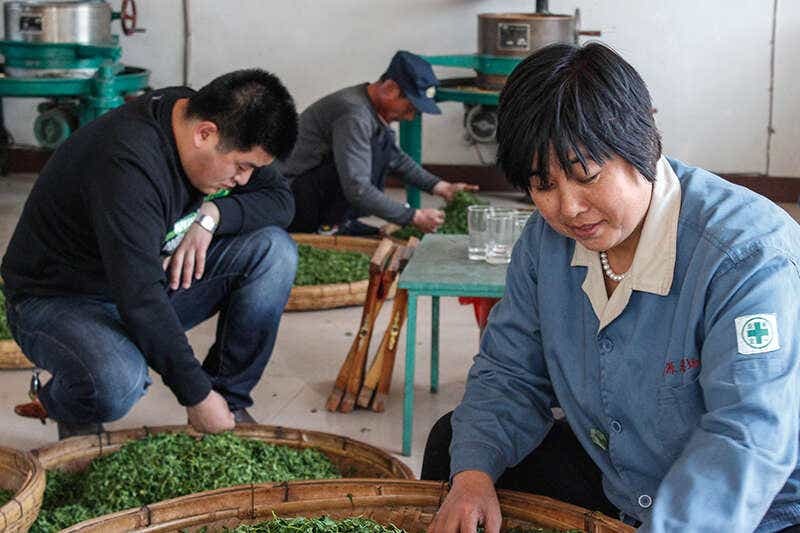 At the end of the day, if a retailer wants to justify their markup through the quality of their tea, they had better be ready to back up their claims of direct sourcing with pictures, video, and detailed stories on the people that pick the tea. 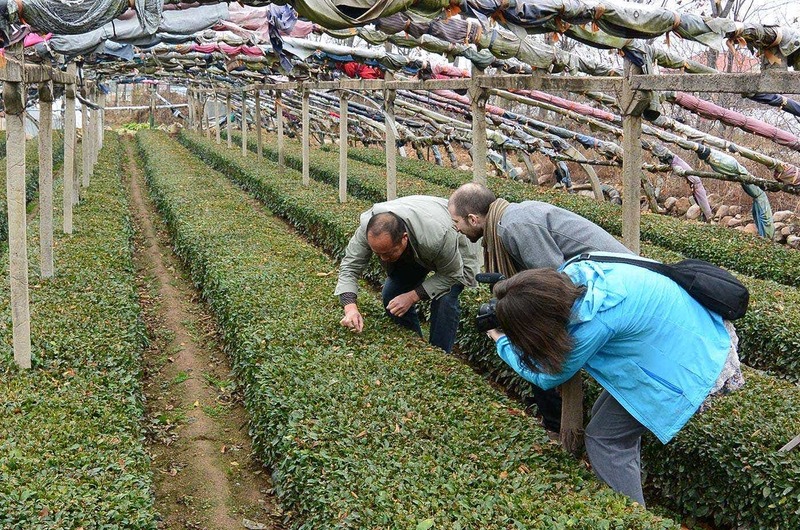 The retailers’ work sourcing is only unique and worthwhile if they are connecting tea lovers with tea farmers that have no other way to get their quality product into the cups of tea lovers outside of China. In this way, the retailer provides an invaluable service to their partner farmers by navigating the complex world of international logistics and import / export on their behalf. This allows small farmers to reach a wider audience. As a tea retailer, we do our best to give tea farmers the opportunity to directly shape their industry – an industry that has, for too long, worked instead to disenfranchise and silence them. 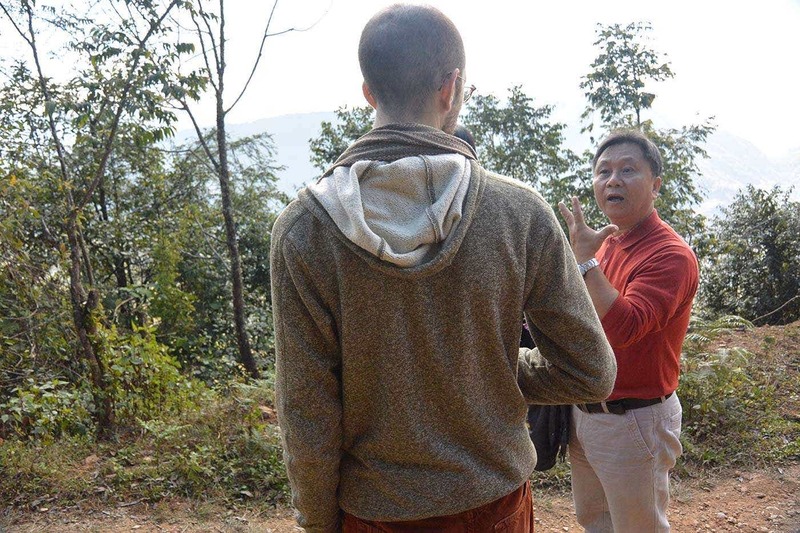 Being a facilitator, traveling to China many times a year, becoming fluent in Chinese, living the culture, getting to know tea farmers as peers and friends – all of this is necessary to add value to the complex chain from tea farm to tea cup. This work takes a lot of time and a lot of money. 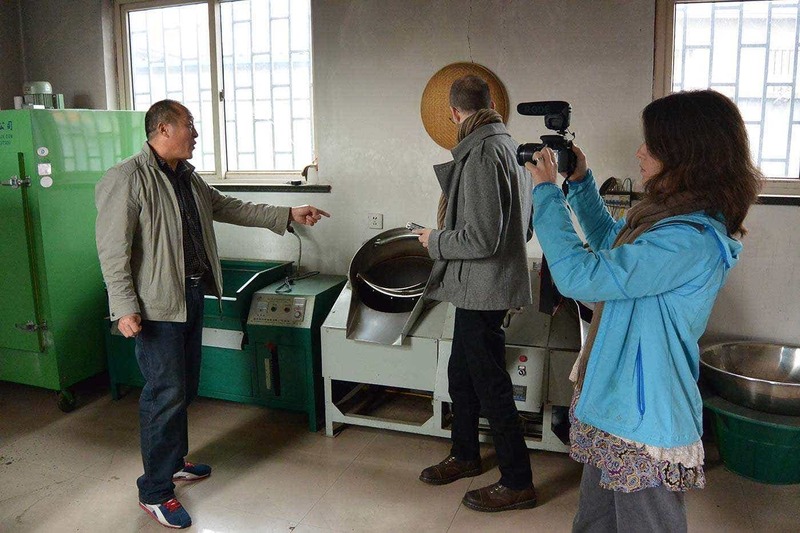 This work is worthwhile because it adds value, and meets a need of both farmers in China and tea lovers around the world. Sourcing is not the only piece of adding true value to the tea. What a company doesn’t stock is just as important as what they do. If a customer tried to buy directly from a Chinese source, they would have to try hundreds of teas to settle on the couple they really love. Part of retailer’s responsibility is to curate a selection that gives customers the best chance of enjoying what they buy. No one should have to guess the difference between six grades of the same tea. A tea retailer has a responsibility to cut out any teas that do not present a good value and exciting taste experience. Tea in China can range anywhere from between 10 cents a pound to ten thousand dollars a pound. A retailer needs to save you the legwork and figure out which teas will give you the most for your dollar. A tea retailer must also provide the service, speed and responsiveness that you can’t get through attempting to buy direct. A retailer provides packaging to keep tea fresh, and makes sure it is shipped to you safely and promptly. Tea farmers are busy enough as it is producing their teas, maintaining their fields and conducting research and development on new styles and techniques – without more family members or additional staff, it would be impossible for small farmers to also think about coordinating tiny retail shipments, answering customer service questions, maintaining a website, making daily deliveries to the nearest post office, etc etc. A tea retailer must also be an educator – an ambassador working as advocates and representatives for their partner farmers by sharing the stories of the tea, teaching customers how to brew, and generally providing any information that can help a customer have a better tasting experience. A tea retailer may even take a base tea and do in-house blending and scenting to create something new. There are many pieces involved in the final presentation of tea. Doing all these pieces well is what it takes to justify a business. Because we receive all of the catalogs from large-scale factory farm suppliers, we have a pretty good idea of how most companies mark up retail tea. Tea from these catalogs tends to fall between $3 and $8 per kilo. The highest end products are around $30 a kilo. This means that cheaper teas are costing a tea company about 8.5 cents per ounce. Low end teas tend to sell for around $4 for a two ounce package when I see them up on retailer sites. This is a roughly 23x markup (2300%). This means you, as a tea customer, could be paying 23 times more than the tea cost for those discount teas. Suddenly a special 25% off deal doesn’t seem so generous. The higher end teas at the $30 a kilo range cost almost 90 cents an ounce. These tend to sell for about $14 for two ounce packages. That is a 15x markup. Generally in the industry (or in any industry, for that matter), the more expensive a tea, the lower the markups. Smaller companies often make less markup if they are buying from a US distributor, or if they are paying to ship small packages under the radar from China via EMS (skirting US customs, the FDA and Homeland Security) instead of via ocean freight. These teas can cost the retailer $60 a kilo for the highest end product, and yield a much smaller 4x to 7x markup. We buy direct from small family farms, pay a premium for the best and air ship it in small batches for freshness. This means that we have to spend a lot more money to get our teas than anyone else in the industry. Despite this, our prices are structured to be still equivalent to any other specialty online retailer for their premium products. We do this to keep our teas accessible and further the goals of our farmer partners to share with a wide audience. How can we sell much more expensive tea for much less money? We control our expenses very carefully. In 2014, we partnered with Prohibition Kombucha and Tree Fort Soda to share a brewery space and food facility. All three companies share the same administrative staff. This means that we enjoy nearly free rent, and our payroll is split between three businesses. All of these businesses subsidize the expenses of running a tea business like ours. At the end of 2014, these reduced expenses allowed us to discontinue our looseleaf wholesale program to extend wholesale pricing to our retail customers. This helped us to drop our prices by almost 40%. New wholesale customers’ only price break comes from having their tea packed in bulk bags to save them money on packaging and shipping. When we moved into our new space, we could have simply kept higher margins with our lower expenses, but our goal is to push the industry towards higher standards. It is our responsibility to pressure importers and retailers in the tea industry to seek higher quality sources and be more transparent about what they do. Working with Prohibition Kombucha and Tree Fort Soda allows us to do more to change the industry, bringing our tea within reach for many more people. Our goal is for every tea business to calculate their margins based on how unique and valuable the service they provide can be, and to ruthlessly examine themselves to honestly determine what – if any – value they are adding to the chain from tea farm to tea cup. 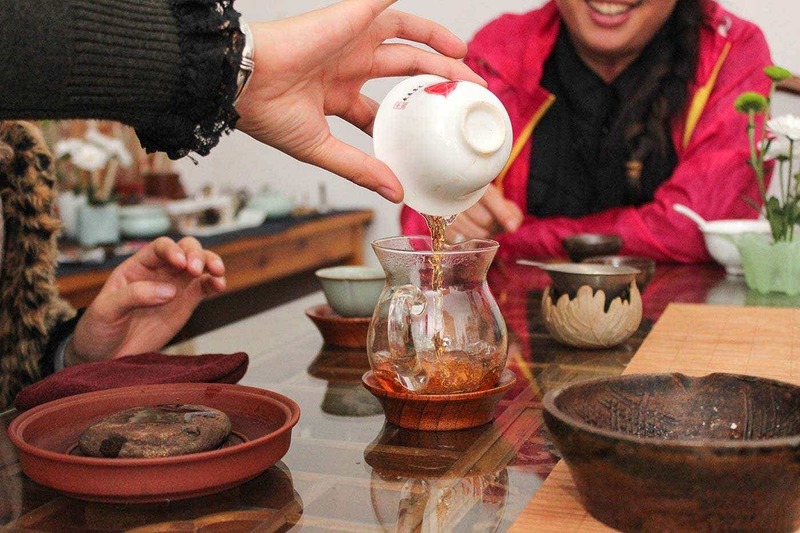 Each tea retailer must find their own path, according to their own skills, passion and connections. Whether through their awesome blending skills, their honest and transparent sourcing, their great work as educators, their outreach, or their gorgeous gift packaging, every tea retailer has an opportunity to improve the industry by taking a sober look at what they are truly contributing to fill real needs. It is our hope that, by laying bare what goes into your tea from farm to cup, you as a consumer can be empowered to understand the industry and make clear choices that help you get genuine value for your money. At the same time, your choices can pressure the industry to compete, and to improve. There are so many ways to go about farming, picking, shipping, and – finally – selling tea. By recognizing the signs, you’ll be able to understand the whole process behind each leaf, understand whether your tea was made with pesticides, whether the tea farmers were fairly paid, whether the land was sustainably tended, and whether or not the tea retailer is representing the quality work of small family farms. There is always talk about tighter regulation – standards, seals, trademarks and more. Yet, any regulation coming from inside the industry will always be biased. Only the customer has the customer’s best interest at heart. Your awareness is the true standard setting in tea. Do not rely on an agency or institute to tell you what to drink. Ask the hard questions, stick up for your rights to know about everything that goes into your body, and we will see a better world for it. Posted on January 30, 2015 at 4:19 pm. Excellent article David; as was this entire series. I appreciate your dedication to provide, not only transparency and education, but to be a leader by example. Drinking tea is part of my daily practice and it is extremely important to me to know what I am putting into my body. Verdant Tea has fulfilled not only my requirement for safe great tasting teas but also high quality vessels in which I brew and drink from. Thank you. Thanks so much David! Your kind words and support mean a lot to me. We are incredibly lucky to have farmers that trust as as much as they do with their teas, and to have customer like yourself that trust us to source with integrity. We are thankful every day and try to do business with that in mind. Wow. These are easily the best articles I’ve read on loose leaf tea production, sourcing, and quality. Thank you!! My wife and I have been ordering from Verdant more frequently not only because of the lower prices aforementioned, but because of the company’s astounding intentionality. These articles were really fun to write. Laying out the entire process of getting tea from seedling to brewed cup has been helpful in challenging ourselves to go even further this year with what we do. Intentionality is a great compliment. I appreciate it immensely. thank you so much. teas from verdent tea, paul rosenberg, and master wang are about the only teas i feel completely comfortable offering to my guests. i cannot express how much i value your work. may your organization and all of the farmers you work with continue to thrive. Wow, thanks Scott! I love that your standard is whether you are comfortable offering it to your guests. For our farmer friends, it is all about that hospitality, and they craft their tea with sharing in mind. I appreciate your support so much! Can you find for me few kilos of Shan Lin Xi or Fushou Shan gaoshan for $80 a kg , even for $100? Or may be you can get me Zheng Yan Da Hong Pao or Sui Xian for $60. How about Bingdao maocha for $100 a kg . Obviously, it will leave enough profit for you based on pricing published in this article. I’ll be happy to receive a price quote for aforementioned teas . I’ll keep my eyes out next time we are in China and ask Li Xiangxi. Its great to get feedback on teas you want to see as it helps us prioritize what to bring in. Very articulate and helpful article. Thank you for your efforts. As your article agrees, I am asking questions, particularly re pesticides, heavy metals such as lead… both in the tea and the containers used to serve it. I am still not clear how you assure yourself that the tea is indeed free of the above….do you rely on simple trust or do you ever test? Thanks so much for your kind words. It is great to be asking these questions. I have worked with farmers like the He family since I was a student 10 years ago. I have lived near their farm for several years, and have picked tea with them, and processed tea with them. I know exactly how they do what they do and can attest to the tea being farmed in an incredibly innovative way that is free of chemicals. I suppose you could say I have “audited” the process, but with people like Mr. He, it is more like being invited in as another family member and being given a chance to see masters as work. Mr. Zhang in Anxi has actually invested in a lab of his own. Not only can I attest to his farming technique, but he personally tests to make sure that air and water don’t bring residual chemicals into the picture. Mast Han wild-picks his tea in a national forest preserve, hundreds of miles from development and does not use any chemicals since he does not cultivate his tea. It is chemical free by nature of being wild tea from the oldest tea forest in the world. The nature of our personal relationships with the farmers, the amount of time we have known each of the six families we work with, and the time we have actually spent observing their process over many years gives us the confidence we have. Hopefully this helps. The sort of familiarity we have with our partners means more at the end of the day than tests or certifications which can be bought, forged and altered. We know on a personal farmer by farmer level how our partners do what they do. We are working to share this with our supporters as much as possible- more video and pictures are coming so that you too can get to know the farmers. Loose leaf tea does not require a commercially licensed food space. Get your facts straight. Hello Mike – as David mentioned, licensing depends on where you are. For example, here in the state of Minnesota, loose leaf tea is considered a food product, and any handling, blending, or repackaging needs to be done under a food license, in a commercial space. In this state, companies that receive over a certain percentage of their revenue from wholesale sales (rather than direct to consumer sales) are required to be licensed through MN’s Department of Agriculture, while those receiving the majority of their income from direct-to-consumer retails sales may instead be licensed through their city or county (depending, again, on where you are). Our experience is deepest with requirements in the midwest (MN, WI, IL), in the cities of Madison, Eau Claire, Minneapolis, St. Paul, Winona, and Rochester. However, it is true that a decade or two ago, loose leaf tea was not considered a food, and so a business could technically repackage or blend tea without a license. This was mainly because those repackaging tea were often operating under licenses & safety practices and in spaces built out for beverage service or RTD manufacture. Repackaging bulk tea for retail sale through ecommerce is relatively new, and many health departments developed rules (relatively) recently in response to the new market and new practices. Things have changed as people and local health departments begin to understand that loose leaf tea should be treated as a food, at the very least in terms of safety. Tea may be a low risk food item (because it is dried and finished, it doesn’t face the same temperature safety issues of, say, meat products or fresh vegetables), but it still faces risks from disease (through unclean packing surfaces & equipment and improper hand washing), and allergen contamination. Proper hand washing, clean and sterile packaging equipment, clean and sterile surfaces, surfaces that are easy to keep clean, walls and floors that are easy to keep clean and are cleaned on a daily basis, ceilings that are appropriately clean and sterile, keeping other food and beverages away from the tea during packing for health and allergy reasons, keeping pets and animals away from loose leaf tea for health and safety reasons – these are all things that a commercial license, food safety training, and an appropriate space enable. These all have costs associated with them, and these need to be considered when looking at the price tag of your tea. Does every Joey Tealover who starts a tiny online business have a health permit or appropriate licensing? You can bet that the answer is no. Do their local or state health departments have the resources or personnel to find them and extract payment for licenses or enforce health regulations? No, you can be sure they do not. On the other hand, do the “big” players – from Teavana to Rishi to PG Tips, etc – have appropriate permits and licensing and food handling spaces? You bet that they do! And do these licenses and permits have costs associated with them? Do they require training in food safety, and a commercial food space? Absolutely – these costs act to control the market for safety reasons, and to fund the inspections that work to enforce those safety regulations. These costs also need to get paid for by the businesses somehow, and so they must be considered when looking at the final price of your tea. Any cost like this has the potential to impact the final price of your tea, and that’s why David did not want to leave this out of the discussion in this article. To do so would be ignoring an important cost that is intended to impact the entire industry (equally, or at least fairly), but I know is not being applied to every tea vendor repackaging or blending in the United States. All of this has an effect on the final price of tea purchased at retail, which is why it is so interesting to think about. While there may be some states or some cities that have not yet classified loose leaf tea and tea blending & repackaging as a food item, these are becoming the minority. This will and should change. It is entirely reasonable to be concerned about sloppy food safety practices from any vendor handling something I will eventually eat or drink. Over my years in food service, farmers’ markets, and manufacturing, you see scary things from vendors of all sizes working on the fringe or trying to get around licensing requirements – from negligent (or non-existant) hand washing practices to glass or foreign materials in packages (falling from inappropriate ceilings and walls, accidentally getting mixed in from nearby inappropriate storage) to unintentional allergen contamination. At the end of the day, I believe people purchasing tea online or in person have a right to know that what they are purchasing has been handled safely. This is especially for tea lovers who are at risk due to age / suppressed immune systems or for those who have severe allergies. While we all hope that anyone selling tea would have their customers’ best interests at heart, proper licensing paired with annual inspections and retraining provide the safety net and insurance we all need to be confident in that safety. I also know that it is up to each individual vendor to do the research and seek appropriate licensing, training, and facilities for the work they are doing. Some will not choose to do so. Whether they do so because they simply do not know or because they are making a conscious choice, these practices do mean lower costs for these vendors, and they can in turn pass those savings onto the final customer. If you have questions about your local rules and regulations, I highly, highly recommend contacting your local health departments directly. They are there to help. It is possible your city or county may have an exception that allows tea handling under a less expensive cottage license, at least if your transactions / revenue fall within certain limits. It may be possible that your city, county, or state simple has no special licensing for tea yet because it hasn’t come up. Either way, I know your health department wants to hear from you and begin that educational dialogue. Though state or city regulations may sometimes seem like one more fee designed to keep the “little guys” like us down, their true purpose is safety. Every health inspector I have ever had the pleasure to work with has always done their best to provide good education, in-depth support, and work towards real solutions that benefit both the business and the customers. Their rules are not arbitrary, and these rules and regulations are designed to provide the tools and the workflows to make it as easy as possible to keep everyone safe. These issues are neither simple, nor straight forward. That is one reason why this series is so long and in-depth. I appreciate the opportunity to speak more about this issue, and I hope you will reach out to your local health departments for more information about your particular market! Perhaps one day the various business associations dedicated to tea in this country will create a compilation of the rules and regulations applicable to our industry in every state, county, and city. Until that then, it is up to each of us in the industry to do that research for ourselves so that we are empowered to keep our customers safe. For reference, I took a closer look at the rules and requirements regarding loose leaf tea in the state of Ohio. However, this is only applicable to cottage production. Goods produced by a Cottage Production Operation in Ohio must be, for example, labeled as “This Prouct is Home Produced.” This staement warns consumers that the product was produced in a private home, and was not subject to a regulatory authority (essentially, Buyer Beware / at your own risk). Products must be labeled with the name and address of the person who made the product, and may only be sold – in person – by the person who created the tea blend. These products may also only be sold in the State of Ohio. A Cottage Production Operation therefore does not need a license. However, this severely limits how much the producer can sell, and all of their products must clearly inform customers that they were produced without a license. Once a person creates an actual business and begins bringing in more than a certain amount of revenue, the business can no longer act as a Cottage Product Operation and must seek real licensing. The laws are quite detailed and explicit, and require various practices, training, and an appropriate facility. The operation must also register with the Ohio Department of Agriculture. This registration and fee places the operation under the jurisdiction of the Dept. of Agriculture, and subjects the operation to routine inspections, etc. Any one can reach the Dept. of Agriculture for further questions or more details through the phone numbers and e-mail address listed on their website. Before registration and licensing gets underway, the Dept. of Ag would seek to work with you to better understand your goal, your business and your plans in order to get you the appropriate licensing and registrations that you needs. Again – everyone I spoke to was very helpful, so no need to be shy! Tea from these catalogs tends to fall between $3 and $8 per kilo. The highest end products are around $30 a kilo. So cheap? It is not enough for the wage for one person plucking tea half day. Agreed – these are important things to think about. Many people may demand very inexpensive teas, but as they say, “there is no such thing as a free lunch.” Low prices for the end retail consumer means that there were cost savings at some point along the production of the tea. Sometimes, cost savings can come from efficiencies of scale, but all too often, the end consumer is asking for the farmer or the tea plucker to receive next to nothing for their labor. Tea Planting is not easy without any pesticide, if you don’t plant tea by yourself, you cannot say it is organic. Correct – tea agriculture is very difficult. That is why we feel lucky every day for the opportunity and the honor to represent our partner tea farmers. We believe that this work is extremely difficult. We are not the farmers; we have the easy part of this job! Because of that, we want to make sure our partners receive the proper credit for their work. Other retailers may choose to keep their sources to themselves, either because they do not know their source (as you mention!) or to “protect” their exclusive source. This is why I believe it is worthwhile for tea lovers to ask their tea companies about the source of the tea, and the people behind the tea. This was a lovely informative article, thank you for writing this. I was curious— what actually is your retailer mark up for the teas you provide? More specifically, what percentage of the cost of your tea goes back to the farmers?